so he won't end up as food. 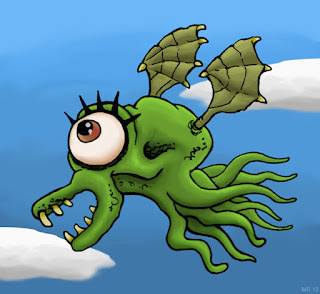 Occulophats are strange, flying, cycloptic cephalopods which live in large swarms. 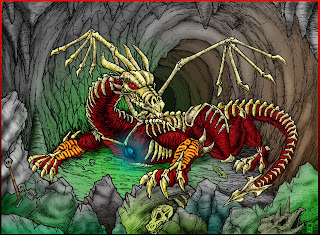 At night they inhabit large caverns, usually those with access to underground water systems. 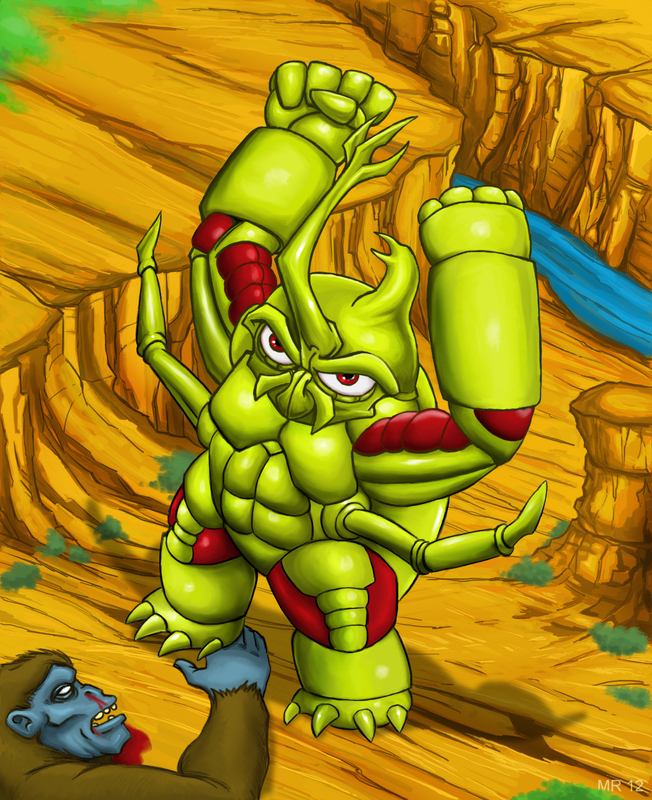 Beetle Mania is a character from the SNK video game King of the Monsters. He is a giant, mutated insect which has taken on human-like proportions. 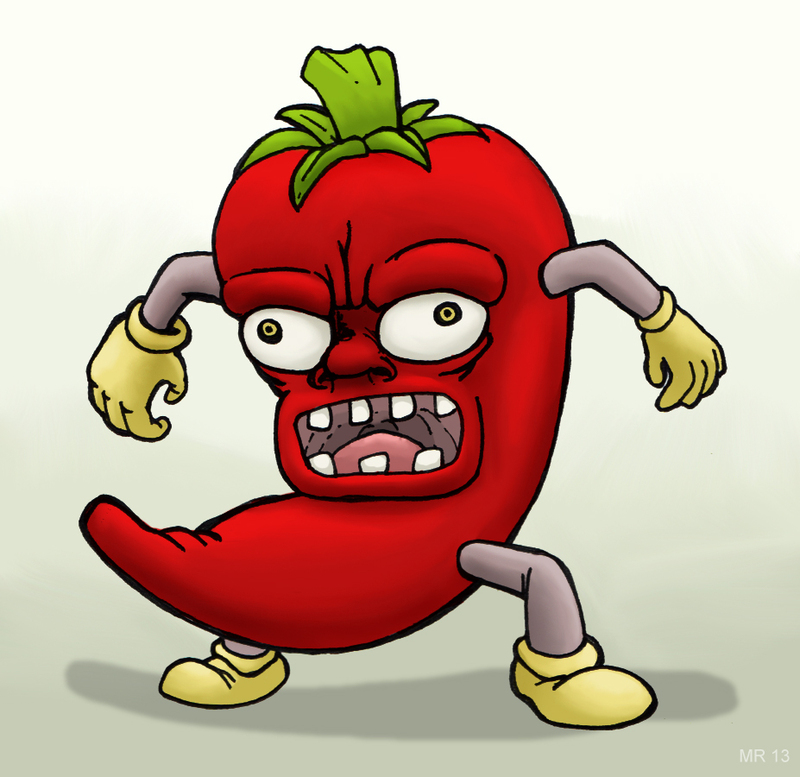 He was the character I always liked to play as, unfortunately he didn't return for the sequel. 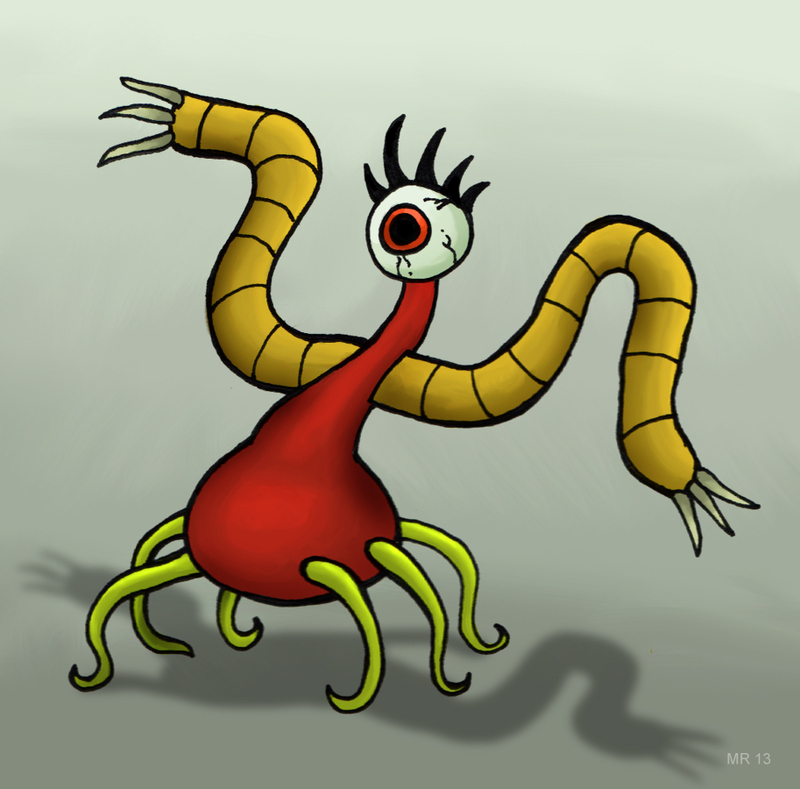 Lavicus is a character from the Neo-Geo game King of the Monsters 2, and is the last boss before the final boss King Farmady. 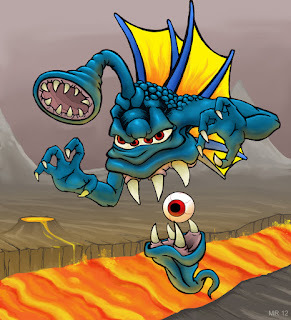 He seems to be a vampire type-creature, with a mouth so huge it splits his body in half with an eyeball in-between. In the game he also spits smaller creatures through the strange trunk/mouth on his head. 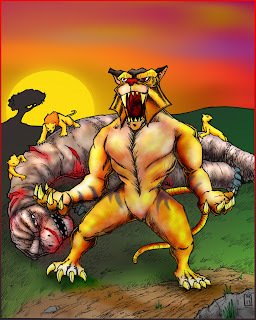 Claw Head is a boss from the SNK video game, King of the Monsters 2. 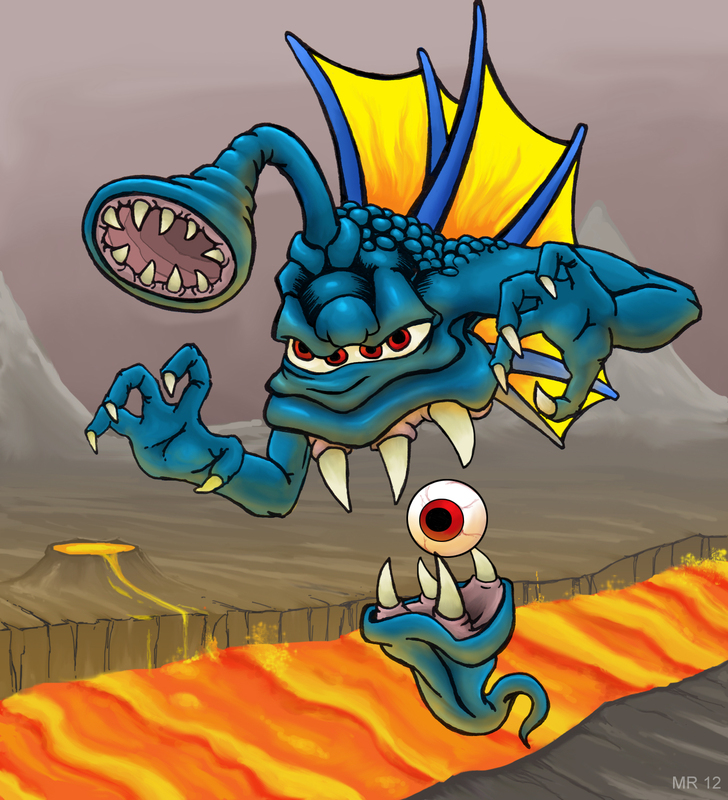 He's a large, reptilian alien creature with two heads and a giant tooth-filled mouth in his lower abdomen. 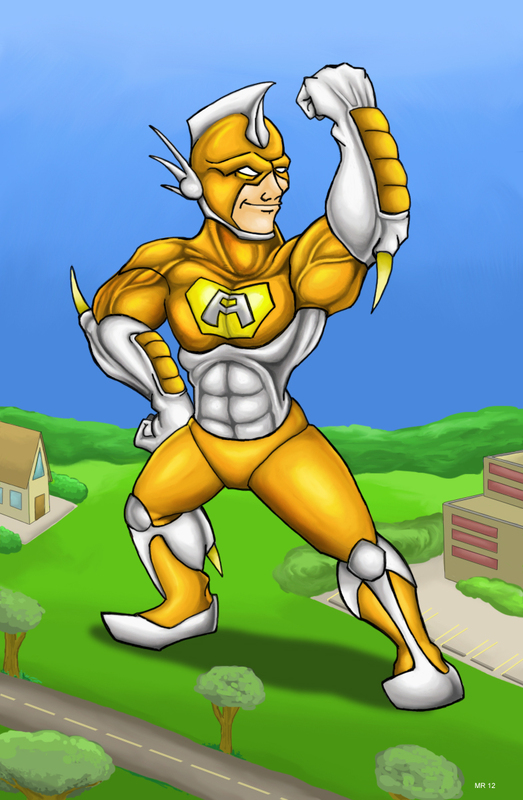 Atom Guy is a character from the Neo Geo video game, King of the monsters. He's the resident super hero, defending humanity from the evil kaiju menace. 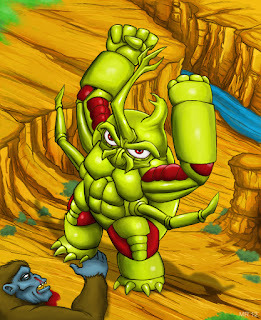 In the second game he seems to be more "monsterous," perhaps a bit mutated, with spikes on his elbows and legs. 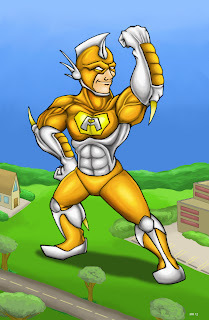 This is a depiction of his costume in the second game. Aqua Slug is a boss monster from the SNK video game King of the Monsters 2. He appears to be some sort of large, jelly-like creature with a shell like a snail. 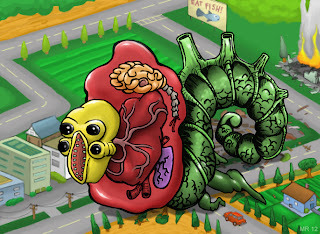 Various organs can be seen within the fluid sac that makes up his body, along with the dissolved skeletons of his enemies. Aqua Slug is (c) SNK Playmore. 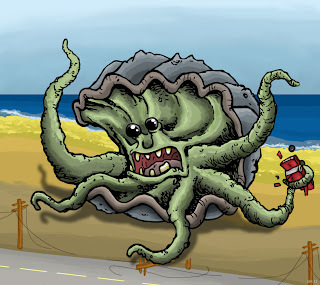 Oysteraah is a giant thorny oyster, mutated by radioactive waste dumped by the British nuclear power industry in the 1960s. 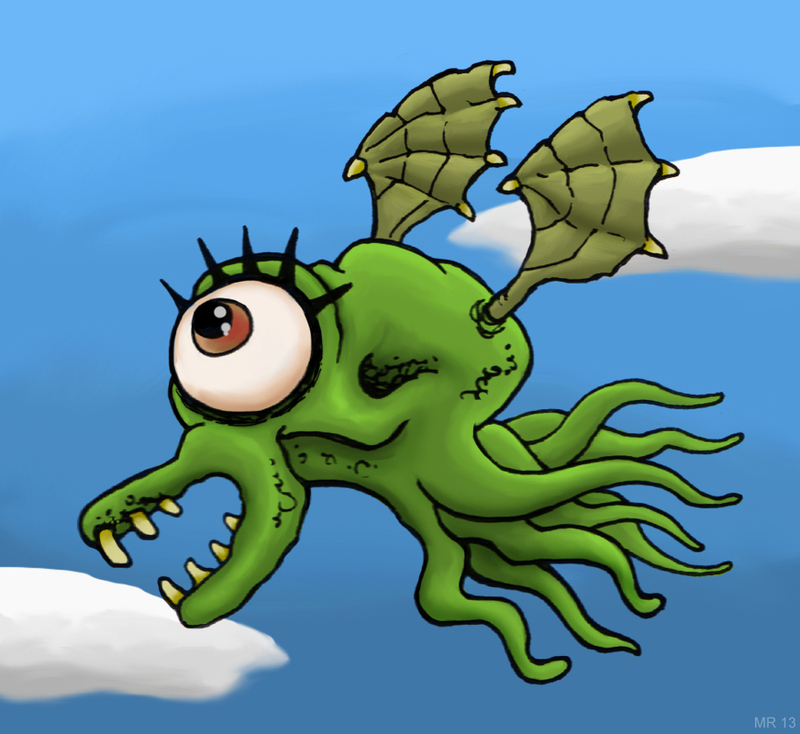 The creature periodically raids coastal towns in search of food. 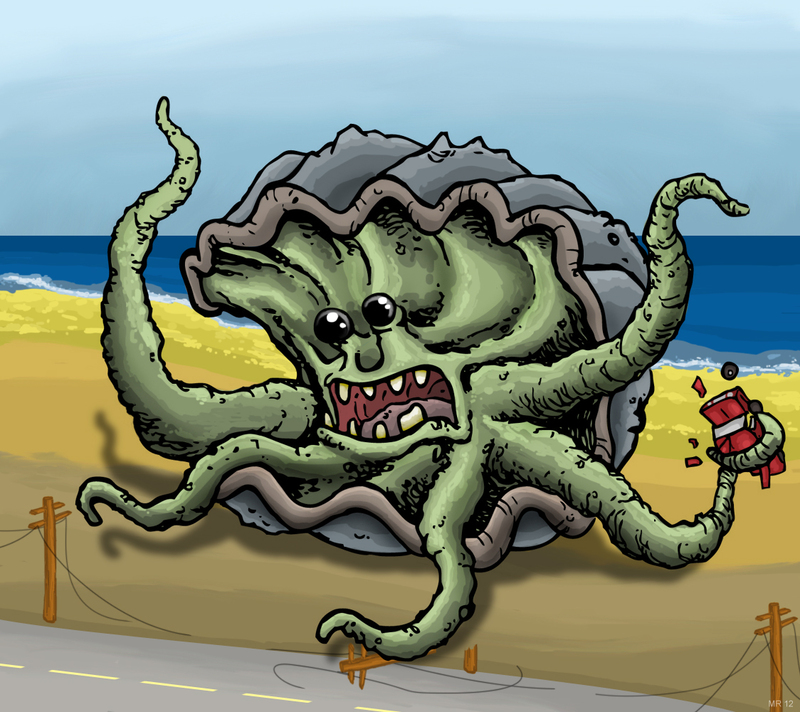 Thus far all conventional weaponry has been unable to penetrate the mollusk's tough outer shell, although his softer inner parts have been shown to be vulnerable. Jeremy Buttonwood was a lowly cab driver who lived an unassuming life. 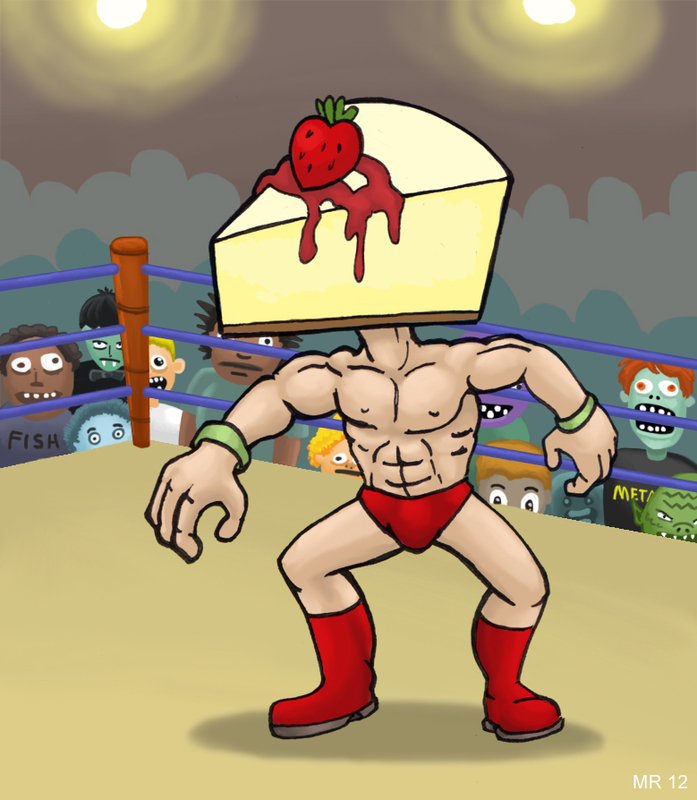 He found himself with a large piece of strawberry cheesecake for a head after eating an enchanted cheesecake left in his cab by a strange fare. Endowed with superhuman strength, Jeremy renamed himself Captain Cheesecake head and joined the United Federal Wrestling federation, where he's currently contending with The Crawler for the middleweight title. Necrosan is the god of death. 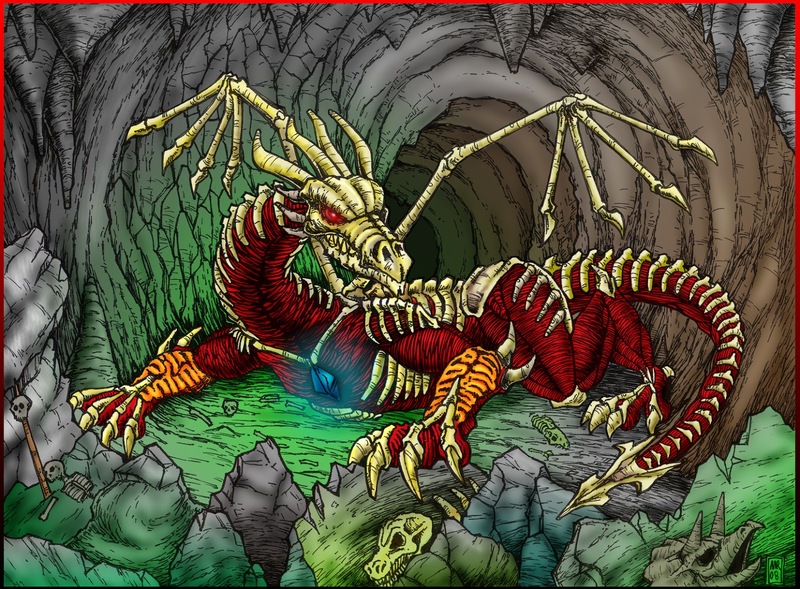 He was contained within the center of the meteorite which caused the great cataclysm and unleashed the gods from their slumber. He travels from planet to planet, turning the inhabitants into undead creatures under his thrall. SlashFang is the god of Combat. 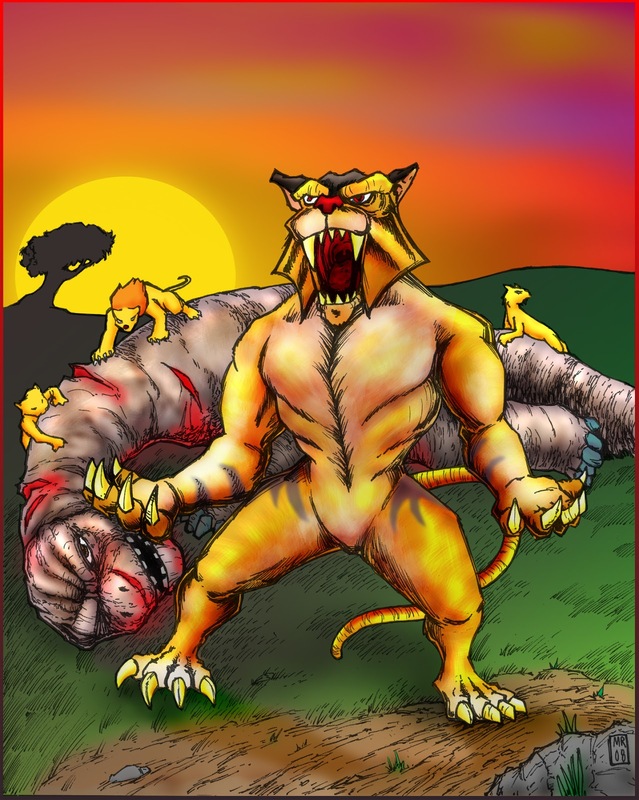 When the cataclysm revived the prehistoric gods to continue their battle for the new Urth, SlashFang watched from the sidelines, and waited to challenge the victor. However after the coming of the undead god Necrosan, he decides to reveal his existence and join the battle. 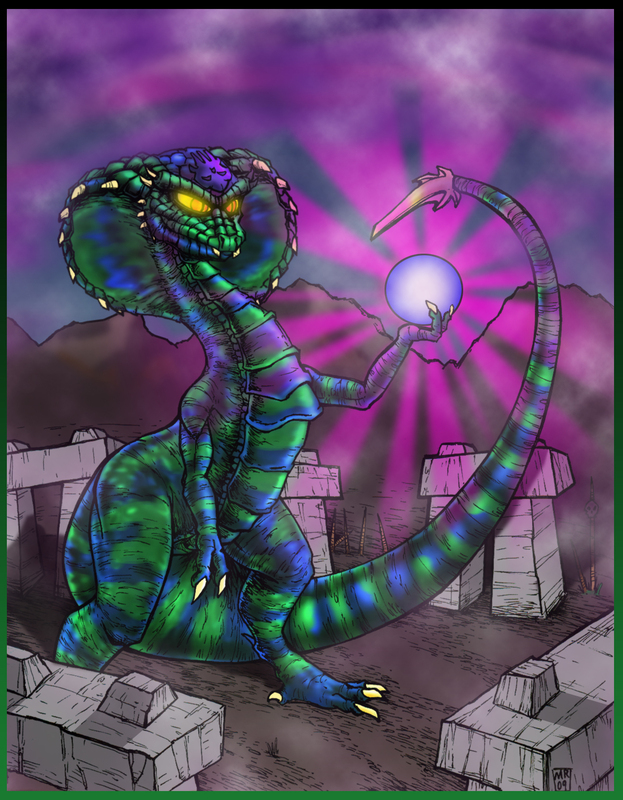 Vertigo is a human sorceress who mastered the art of transformation, millions of years ago she was imprisoned within the moon by the mad wizard Balsafas, until the great cataclysm finally released the mystic bonds that held her fast and enabled her to engage the other gods of the new Urth head to head in a beast form of her own. She plans to enslave the entire human race by stripping all of their free will. 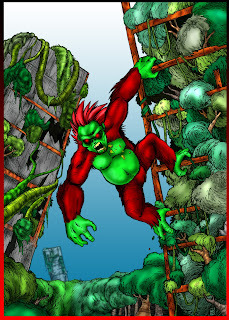 Vertigo is a character from the video game Primal Rage. (c) Atari Games. Chaos was a shaman-scientist who lived with his tribe before the cataclysm. He was transformed into his current state by accident, after infusing himself with DNA taken from Blizzard. Driven insane, he was forced to wallow in his own filth for eons, and now wants nothing more than to free himself from his curse. Chaos is a character from the video game Primal Rage. (c) Atari games.